It was a paperback book that someone I trusted and respected had recommended. Its title was good but not great. The headline wasn’t so compelling that it would stop you in your tracks. But something about it made me want to start reading and open the cover. Most of it was read in coffee shops near my home. I had plenty of time as I was between jobs. But it made a big promise. If you created great engaging content online then you would attract leads and sales. The term used to describe that was “inbound marketing”. 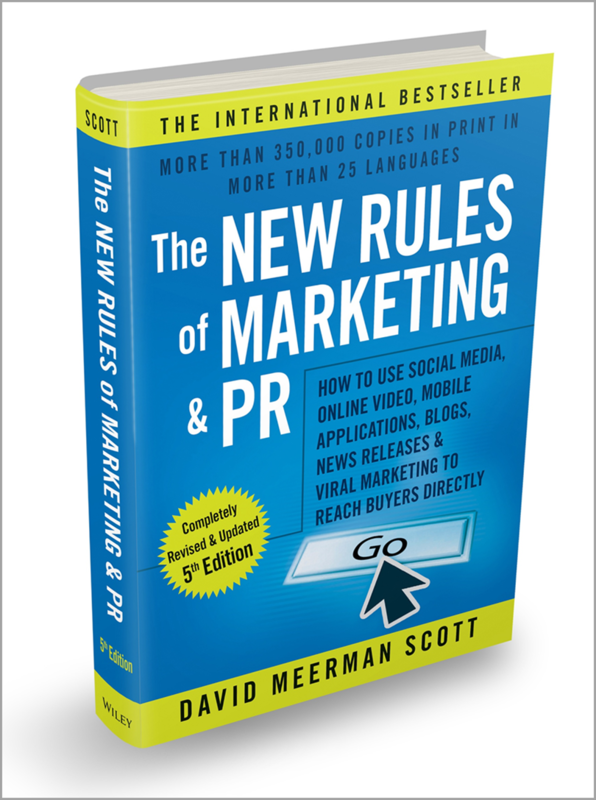 “The New Rules of Marketing and PR” by David Meerman-Scott. As a sales and marketing professional it seemed to make a lot of sense. I certainly liked the idea of attracting customers rather than chasing them. Over my career I had used newspaper advertising, radio ads, cold calling, fax broadcasting and even door knocking to grow sales. But outbound marketing often meant that you had to pay gatekeepers to get your business and brand in front of an audience. The media moguls had the distribution and access to the customers that wanted to buy your products. The Internet had emerged, and websites, search engines and online publishing were becoming mainstream. Online stores were becoming trusted and normal. New tools and platforms had evolved. But the real kick-starter to make it easy to publish and get attention had gone from a fad to a global trend. That was the fast emerging social media networks. I was so intrigued by the discovery and its potential that I started a blog on the topic. It was an experiment. It was the start of a journey to see if David’s premise stacked up. The passion project started and content creation commenced. 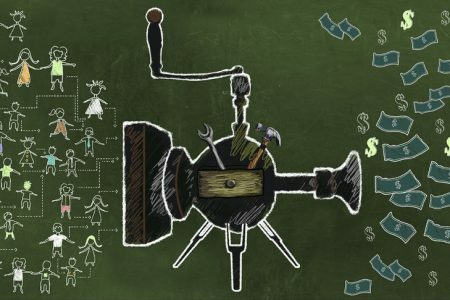 Can you grow revenue from content creation? Can you build a business around it? Is this a passing fad? As I started publishing I also started sharing my creation with a few followers on Twitter. They responded. The few turned into many and then into millions of readers a year. The first big question had been answered. One year later I found an email in my inbox asking me to speak in Italy. They offered to pay me. Another question had a response that I liked. A few years later I left my day job and struck out on my own. The sustainable business question had been resolved. This had all happened around a content publishing hub that had been started with a $10 investment. That was a domain name. There are many other questions that I am sure you have asked while reading this, so for the rest of this article, I will endeavor to answer them. It is going to be pretty comprehensive; a guide to Content Marketing 101 – everything you need to know. I will talk about the basics of content marketing and the many ways it can help you grow your business. I will focus on a “do it yourself” approach that minimizes the costs and helps you understand what keeps your customers interested and engaged with your brand. So grab a cup of tea, make yourself comfortable, and let’s dive right in. Content marketing focuses on the creation and distribution of relevant and valuable content, with the purpose of attracting a clearly-defined audience, building a long-term relationship with them and, ultimately, turning them into loyal customers. The keywords you need to remember are “relevant”, “targeted” and “relationship.” Simply creating content without a solid understanding of your audience’s needs and interests will not help you grow your business. At best, you will generate unqualified traffic; at worst, you are wasting valuable time and resources on creating content for the wrong audience. Done right, content marketing is the effective use of content that informs, educates (and sometimes entertains and inspires) customers to discover you, trust you and buy from you. The great part that isn’t often appreciated is that if it is done with persistence and with the long game in mind, the content becomes an asset that keeps giving. People will find answers (in the form of content) from your blog or website when performing a Google search. They will discover your YouTube video in a tweet or on Facebook. They will register for your webinar and buy your product or service. But to be successful with content, you need a mindset of pull, not push. A vision for next year, not next week. An approach that revolves around building digital assets that accrue in value over time, rather than expiring digital assets that become obsolete and die when you turn off the advertising. People are more likely to engage with a brand that delivers quality, educational content than one that only focuses on selling its products. Purchasing decisions aren’t always, if ever, rational. It’s not facts that get prospects to choose a brand over another. The emotions and personal beliefs that come with the story are the main factors that motivate people to take action. Consumers usually choose the brands whose narratives reflect their views and embody their ideal principles of life. According to DemandMetric, content marketing costs 62% less than traditional advertising. It also generates three times more leads. Businesses that use content marketing have six times higher conversion rates than non-adopters, according to Aberdeen. A Custom Content Council study found that 72% of businesses think content marketing is more effective than advertising in a magazine. 62% claim it generates better results than advertising on TV. 69% of marketers say branded content is superior to both direct mail and public relations. 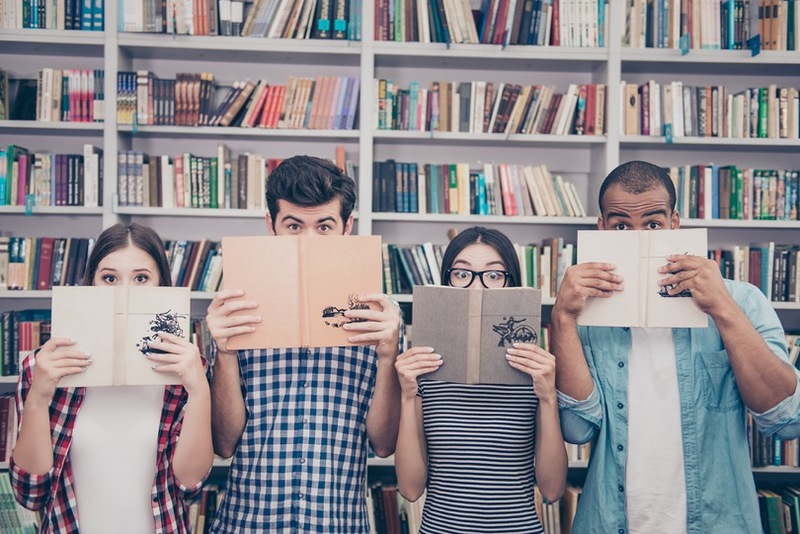 These examples are only the tip of the iceberg when it comes to studies that prove the effectiveness of content marketing. Here you can find more statistics that support its worth. Still not convinced? Let’s take a look at the benefits. From a distance, the benefits of content marketing are not all that obvious or apparent. Content builds a digital asset hub that attracts leads and sales. It grows credibility and trust as you publish content that answers customer questions. Quality content can establish you and your brand as a thought leader in your industry that spreads influence and authority. It educates your prospects and clients, building loyalty that turns them into fans and advocates. The core of content marketing really comes down to one simple idea: thought leadership vs. selling. Selling is an immediate call to action, a proposition that needs to end with a clear decision. The customer will buy or will not buy the product or service. More than that, the effectiveness of a sales-centric strategy will end the moment you stop pouring money into it. Your pay-per-click marketing or Facebook ads will stop generating leads the moment your campaign ends. Content marketing, on the other hand, is the gift that keeps on giving. A high-quality article can generate return one week, one month or even one year after you’ve created it. 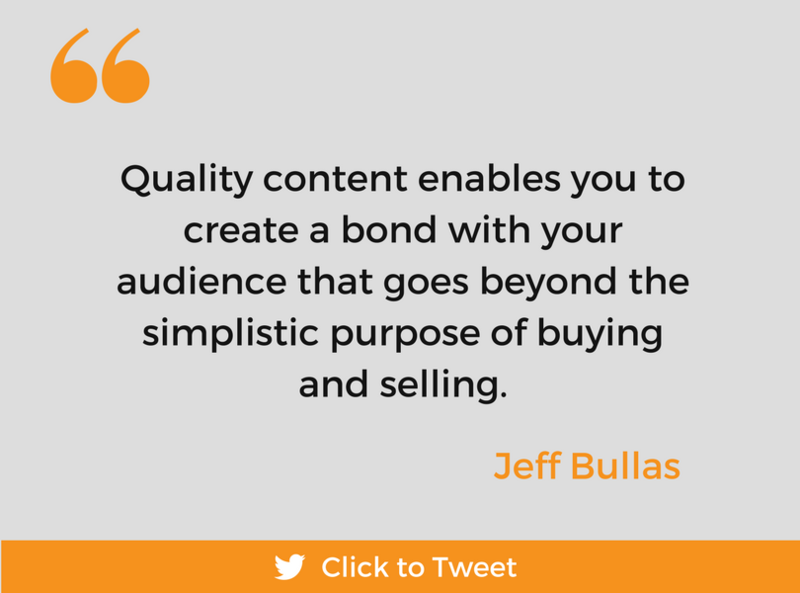 That’s because quality content enables you to create a bond with your audience that goes beyond the simplistic purpose of buying and selling. Hopefully, by now you’re on the content marketing bandwagon with me… If so, how do you build a content strategy and make the most of this approach to business growth? A common mistake people make when it comes to content marketing is that they jump right in without building a foundation first. Here’s what you need to do to ensure your strategy is going to be effective. Content marketing can feel a bit overwhelming, especially if it’s a new concept and you have no idea where to start. Getting help from others to outline and execute on your plan is not only smart but also encouraging. But, make sure to choose your team carefully. Talk about your brand’s identity, your value set, your ideal customer profile, and what you are looking to achieve as a business. Help them relate to a vision for your brand that inspires them to want to work with you. When I say “team”, I don’t necessarily mean you need to go out there and hire 10 full-time staff members. If you are a small business or entrepreneur, consider other options you have available to you to build the skill set you are going to need to be successful – outsourcing to freelancers and contractors, for example. How do you want prospects to perceive you? Do you want to be seen as a friendly brand or a professional business? 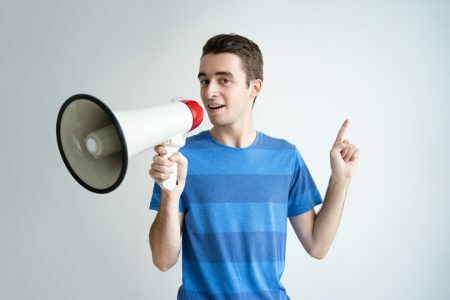 Develop a brand voice and stick to it across all channels. Create guidelines for you and your team to follow in terms of brand colors, use of fonts, language do’s and don’ts, and other things that influence your perception of the market. A customer profile, or buyer persona, is a fictional representation of your ideal customer. An effective customer profile goes beyond demographic information and documents things like interests, hobbies, fears, hopes, and dreams – helping you truly understand how your customers tick. A well-constructed customer profile will help you do everything a little bit better. Your content will resonate more with your audience, which will result in more engagement, more traffic, and inevitably more purchases. Without a good understanding of your ideal customer, your content marketing strategy is likely to fall flat. Find a buyer persona template that suits your business and industry. 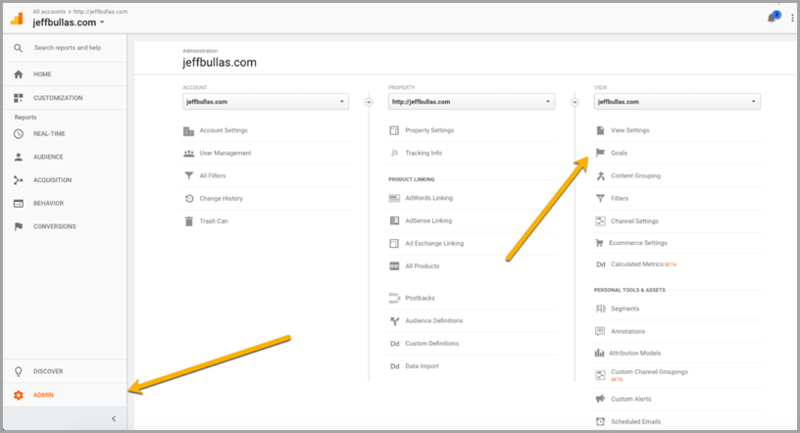 Start researching your customers to fill in this template, on social media, search engines, and via customer surveys. Consolidate your research into at least one simple buyer persona, or several if you need to. Use your buyer persona to guide your content marketing activity. 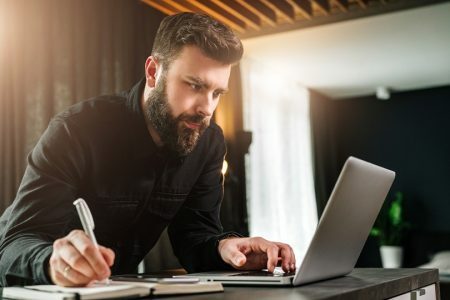 Just because “content marketing” is a fairly new concept, doesn’t mean that it doesn’t maintain many of the core aspects of an effective marketing strategy. You should still spend time getting to know your customers and understanding the typical process they go through before buying from you. 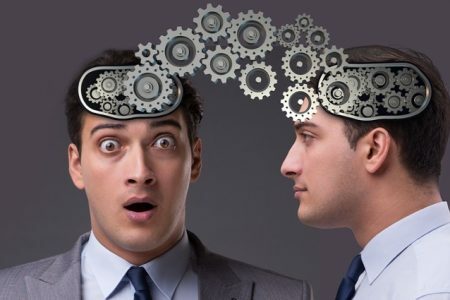 Whether you call this a sales funnel, buyer’s journey, or something else entirely, at its core this concept simply captures the idea that individuals go through a certain rational and emotional process before they make a purchase decision. At each stage of this process, they are looking for information and guidance that leads them to the next step. It’s your job, as the content marketer, to provide relevant and helpful content at each of these important stages in their journey. For example, prospects at the top of the funnel have only just discovered your brand or realized that they have a problem. Bombarding them with sales messages is a surefire way to drive them away. Instead, you should provide educational content that answers their questions. 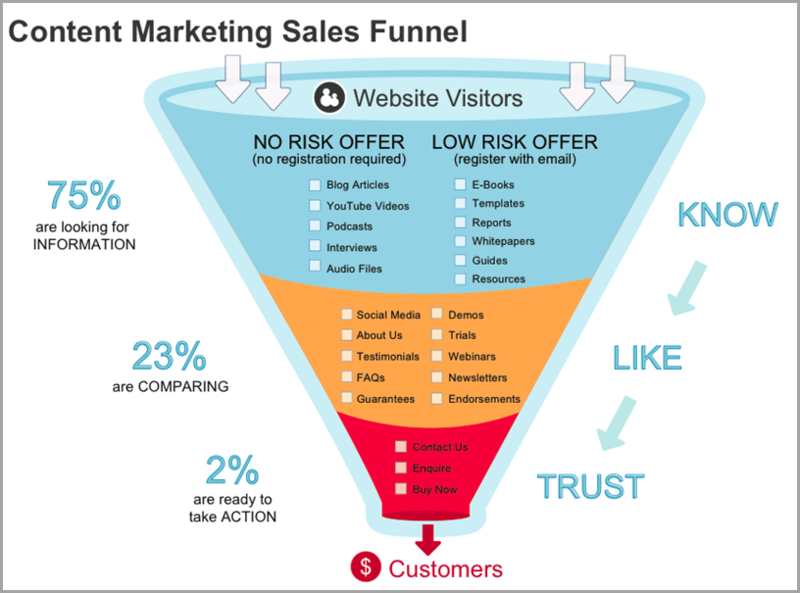 People in the middle of the funnel are evaluating their options, trying to decide if a product is useful or whether they can trust the brand behind it. Create content at this stage that proves your expertise, such as in-depth articles, white papers, competitive comparisons, or eBooks. People at the bottom of the funnel have made their decision and are ready to buy, but oftentimes they need help making that final commitment. Provide them with case studies, testimonials, or tailored offers to get them started. Once a prospect becomes a customer, your goal should be to reinforce their decision to buy your offer and turn them into a raving fan of your business. Your job doesn’t end once they sign up, it then becomes an issue of retention and engagement, which content can help with too. 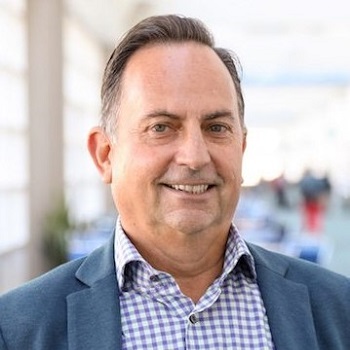 Once you have created an understanding of your customer’s typical journey towards a purchase, you then want to come up with content ideas that will satisfy each stage of that journey. Get creative, loosen up and write down all the ideas that might inspire your strategy. Think of the essence of what you want to broadcast to the world. Don’t hesitate to look around online for inspiration. After all, you don’t need to reinvent the wheel. Conduct keyword research to see what people are searching for in search engines. Determine a list of your customers’ most common questions; before, during, and after a sales or customer service conversation. Identify the problems and subproblems your product or service solves. Research competitors, industry influencers, and thought leaders to find out what their most successful content has been. When you are finished brainstorming content ideas, use an editorial calendar to capture these ideas and plan when you are going to publish them. Using an editorial calendar can make the difference between a content marketing strategy that brings results and one that falls flat. It enables you to prepare all of the steps beforehand and concentrate your resources on what counts. Plus it creates accountability for meeting deadlines. What will appeal more to your customers: visual content or informative, in-depth articles? Do they read their emails more than they log in on Facebook? Would your prospects engage more with video content or text? These are some of the questions you need to ask yourself to decide which content types will resonate with your audience best. Let’s take a closer look at your options. If you want to bring solid, steady traffic to your website, then you need to focus on creating evergreen content. As the name suggests, evergreen content is timeless. For example, an article about “What Is Content Marketing” will always be relevant because the definition is unlikely to change anytime soon. 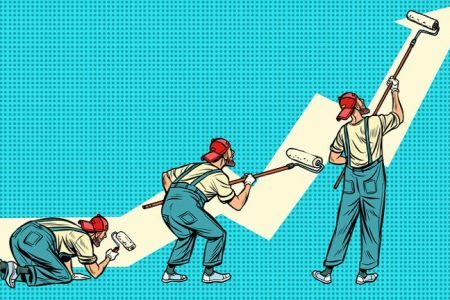 On the other hand, an article about “The Best Content Marketing Tips for 2018,” is not necessarily an evergreen topic, as trends change and you need to monitor and update the techniques you’re using. Most content marketing involves some element of written content. And it doesn’t matter how well-researched your articles are, if prospects have a difficult time reading them or digesting the information, they won’t read and engage with your content. The main challenge is keeping the content simple, yet engaging. You also need to ensure that your writing style fits your brand’s personality and audience. You don’t need to be an expert writer, but having a strong grasp of the written word is certainly going to be helpful. Alternatively, you can always hire someone to help. One way to approach written content is to document a brand voice and writing guidelines, then write the articles yourself, or find a team of writers that can deliver content on a regular basis. Here’s the thing: if the platform where you’re publishing your articles looks like it is stuck in a time warp, then your audience will leave your site without giving it a second thought. Make sure that your website has a clean, professional design. Keep in mind that online users enjoy a cohesive style that they can immediately connect with your brand. If your design is changing all the time, it will become confusing and undesirable. Also, consider how you can integrate design elements and branding into your content creation. Things such as on-brand visuals, company colors, and custom graphics are a great example of this. 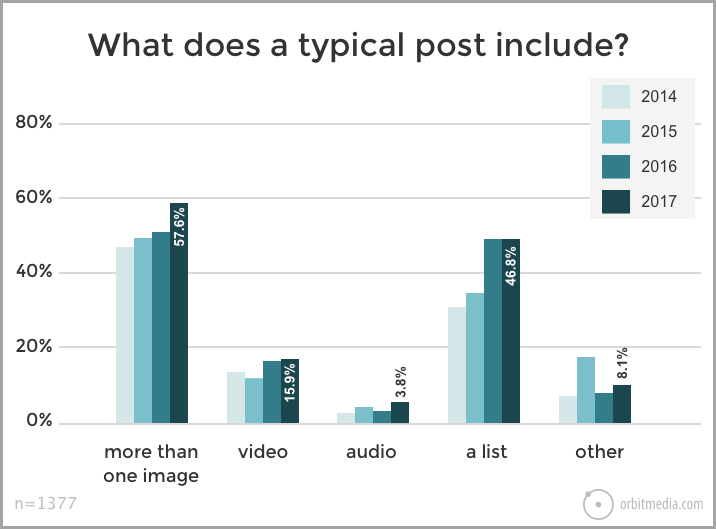 Research by Orbit Media found that in 2017, more bloggers were using multiple images in their articles than in any previous year. Although creating high-quality content is a crucial component of content marketing, it’s not the only tactic. Content curation, or the process of discovering, compiling, and sharing existing content with your audience, can work just as well. However, make sure that the content you curate is relevant to your audience’s needs and expectations. Another brilliant way to engage your customers is to let them generate the content themselves. GoPro is a master at user-generated content (UGC) marketing. They have built a community that is excited to create and share adventure videos, all while promoting the GoPro brand in the process. The strategy is so effective that people post about 6,000 GoPro videos every day. So, how can you use UGC? For example, you could organize a contest and encourage prospects to send pictures of themselves using your product. Offer something of value in return, such as a discount, coupon, or maybe a visit to your offices. You can apply this idea to any content and distribution channel. Although social media makes it incredibly easy to engage fans and persuade them to send user-generated content your way. Imagine if Forever 21, a fashion brand that targets teens and young adults, would air a commercial on the CNN money channel or Bloomberg, two media outlets that cater to business professionals in the financial sector. It wouldn’t make sense, right? The same goes for your content distribution. If you want your content marketing to work, then you need to choose the right distribution channels for your brand. Here are the most important distribution channels to consider. If you’re looking for a free, fast and effective way of distributing your content to a broad audience, then social media holds the answer. With more than 2.6 billion users worldwide, social media is one of the best content distribution channels. But, unless you are a large business with a dedicated social media team, you need to be smart about the channels you choose. Pick the platforms that make the most sense to your audience and business needs. For example, look at user demographics to ensure that your audience is active on the platforms you’re using. Then, look at the type of content your audience prefers. For example, Instagram is all about visual content while Twitter focuses on delivering bite-sized information. Also, consider the type of content you plan to create. If you want to focus on video, for example, then Instagram, YouTube, and Facebook are the best options. But if you are mainly creating infographics, then maybe something like Pinterest would work. Check out this social media marketing guide to get an idea of how to use social media effectively. Don’t make the mistake of dismissing email marketing as obsolete. As one of the most effective strategies out there, email marketing is perfect for small businesses that must stick to a tight budget. Even today it remains one of the most effective channels of communication between companies and consumers. If done right, email marketing can help you nurture your leads and turn them into loyal customers. The prospects you reach through email are already interested in your brand because they opted in to receive content from you. Take advantage of this to build and nurture a lasting relationship. The best way to leverage email in collaboration with content marketing is to optimize your website for capturing email addresses, using things such as popup forms and free downloadable resources like eBooks. Once your website is optimized, use content to drive people to your website and entice them to sign up to your email list with these offers. Then when they are on your list, keep communicating with them on a regular cadence to build trust and credibility. Building your blog and integrating it with an SEO strategy is the foundation of a good content marketing plan. While you can publish content on third-party sites, a blog on your own website can bring numerous benefits to your business. A static website with no updates is as good as dead in the eyes of both Google and your audience. On the other hand, the more content you publish on your blog, the more frequently search engines will stop by to visit your domain. That can translate into increased rankings, more traffic, and ultimately more leads. With every new article Google indexes, your chances of converting prospects into customers increases. In fact, SEO leads have a 14.6% better close rate, compared with outbound leads that have just a 1.7% close rate. For a comprehensive beginner’s guide to Search Engine Optimization (SEO), check out this article. Syndication: Content syndication is the process of re-posting your blog content on other websites, who have an established process for doing so without affecting your SEO performance. Advertising: You may choose to combine the benefits of content marketing with the immediate impact of traditional advertising to get the best of both worlds. Sponsored Content: Paid content on other people’s websites can be just as effective as the organic content you publish yourself. As long as the content is high-quality and relevant, it can help advance your business goals. The time and financial resources you allocate to content marketing are not endless, so you need to find ways to implement these strategies without sending your accountant crazy and burning a hole in your back pocket. One possible solution is to simplify the content management process. Build a routine and stick to it. For example, Mondays are for researching new topics; every Tuesday you create a new article for your blog. Then, on Wednesday you focus on content distribution, responding to your followers, checking your stats, following-up on a previous content campaign, and so on. Whatever rhythm you choose, aim to document all of the little processes you use to deliver on this strategy. Everything from coming up with content ideas, to researching articles, and promoting your content can be defined in a sequential process. By defining this process and documenting it, you can improve the way you approach things over time so it saves you time. You can also more easily outsource parts of this process to freelancers and contractors without needing to hire a full-time content team. 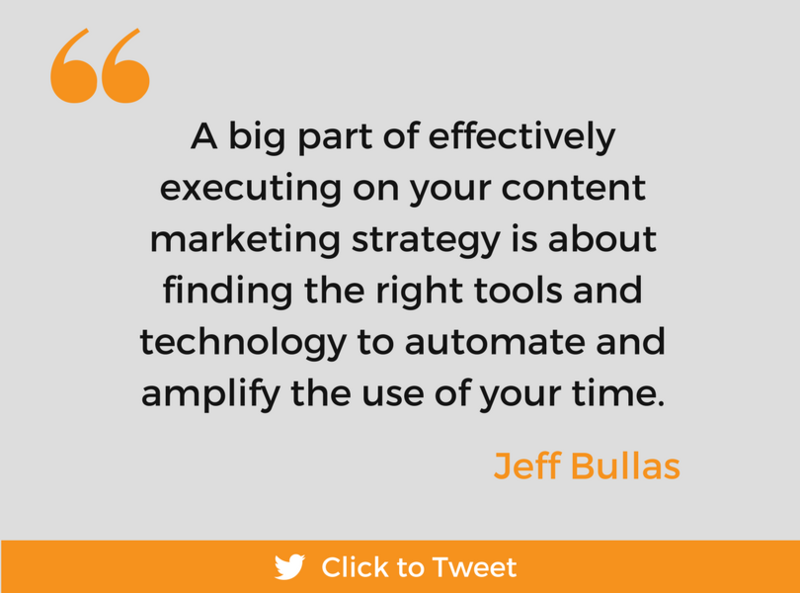 A big part of effectively executing on your content marketing strategy is also about finding the right tools and technology to automate and amplify the use of your time. 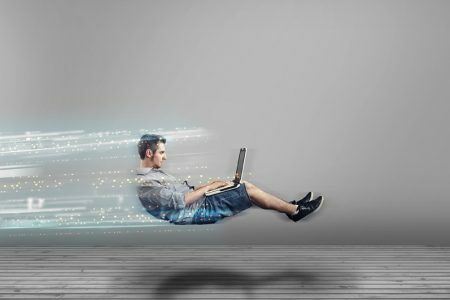 Without the help of technology, you are unlikely to effectively deliver on your content marketing strategy. So you need to put together a suite of content marketing tools that will make things easier and track your efforts. You’ve defined your strategy, built the foundation, picked the right channels, and have started creating quality content for your audience. But how can you tell if your efforts are worth it? That’s where content analysis and measuring ROI becomes so important. Measuring the impact of your content marketing strategy is no easy task. The problem is that a lot of small business owners let vanity metrics, such as likes, shares, and comments derail them from their goals. Yes, getting tons of likes and traffic to an article is certainly something to be proud of, but that’s not the ultimate goal. You don’t want people to share your content and then forget about your business the next day. You want loyal customers that engage with your brand, buy your products and tell their friends about it. Let’s say your primary business goal is to double your sales by the end of the financial year. How does that translate into hard metrics that you can track? It may be that you track mini-goals that contribute to this master goal. Website traffic, that leads to email subscribers, that lead to sales calls, that inevitably lead to sales. Thinking about it this way will allow you to see a direct correlation between your content marketing and traffic building strategy, and the business outcomes it is generating. Tracking your results will make it easier to identify certain patterns or changes in customer behavior. Not to mention, you will be able to adjust your strategy on the go rather than investing time and resources only to discover that your audience didn’t respond to your content as expected. I had a new purpose. A new reason to get up every morning. But if there is one thing I have taken away from this whole experience, it is that anyone can do it. I wasn’t a writer. But I had stories to tell, battle scars to share, and a new sense of vulnerability that captured an audience. Don’t let insecurity and fear hold you back from giving this content thing a shake. The influence it will have on your business, those around you, and your personal confidence and sense of accomplishment is quite amazing. But don’t go at it blindly. Think about WHY you are doing it in the first place. Document your goals. Create a strategy. Measure your results. Improve when you can. Be the difference that your customers and audience are looking for. Add value to their lives and businesses. They will love you for it.